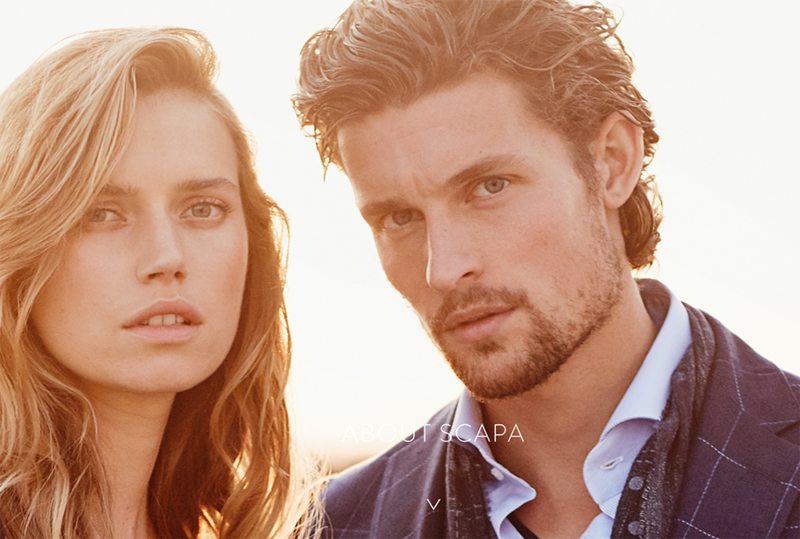 SCAPA SPORTS, a collection for women, men and children. This casual SPORTS collection is not only for young people, but for everybody with a young and sportive mind. The word SCAPA comes from the Old Norse language and means ‘refuge’. SCAPA Flow is a bay in the Orkney Islands, to the north of Scotland. That’s where Brian Redding produced his first exclusive sweaters, which flew off the shelves in his wife Arlette Van Oost’s shop from day one. Elle and Marie-Claire featured a SCAPA sweater on their covers in 1967, heralding the beginning of our success story. At the time, the SCAPA collection consisted of nothing more than a couple of sweaters, a kilt and a parka. However, ten years later it had grown into a complete collection for women, men and children.